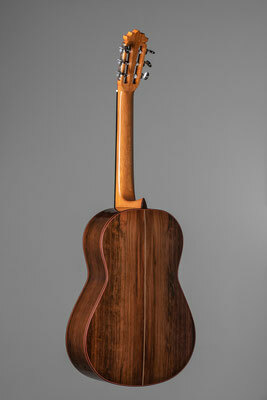 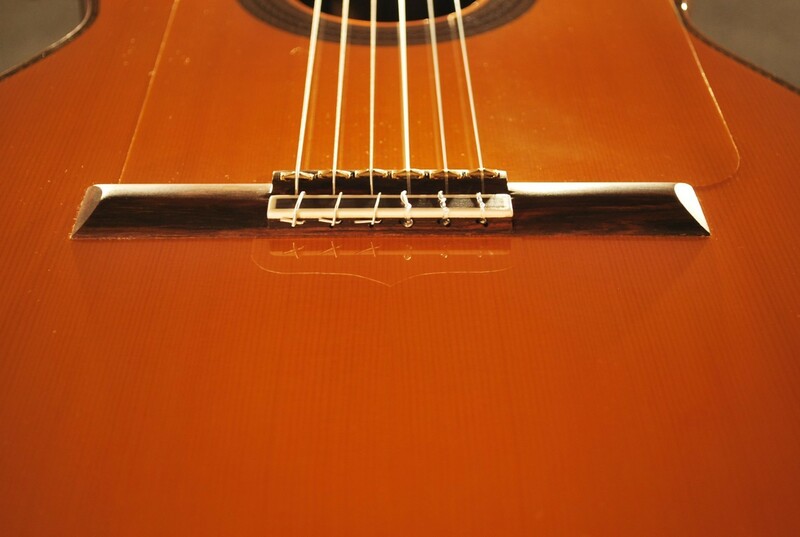 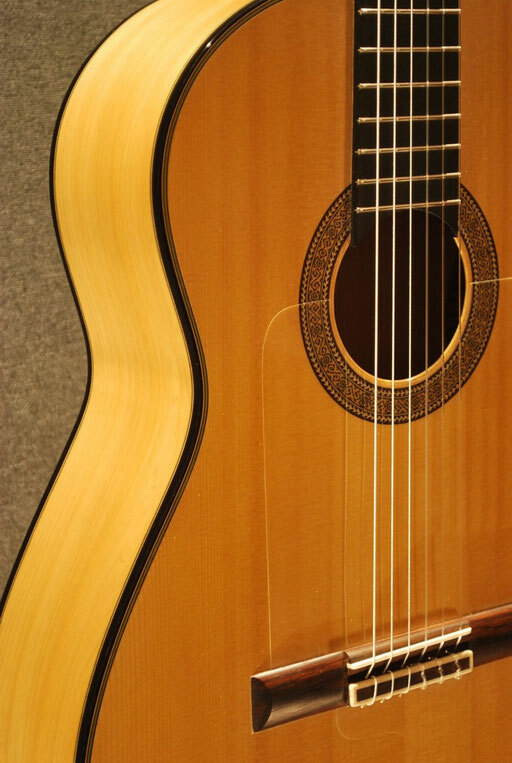 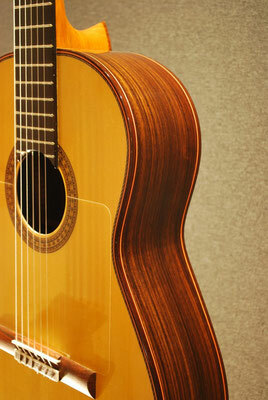 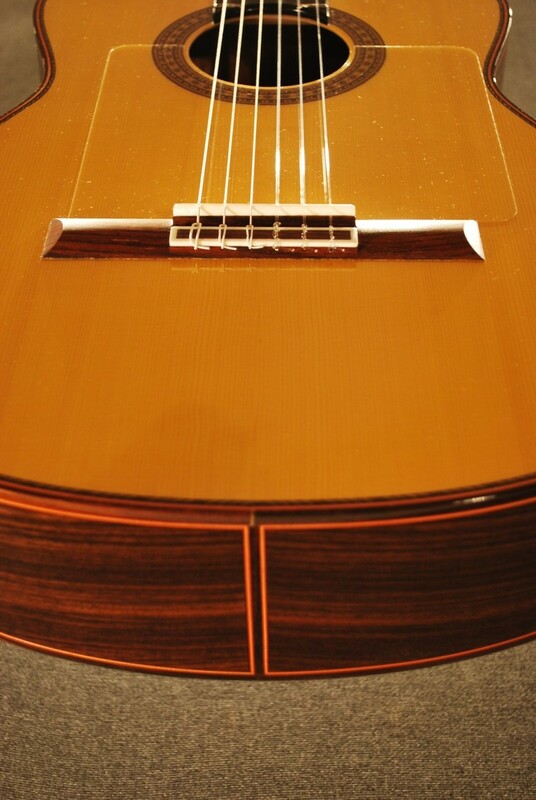 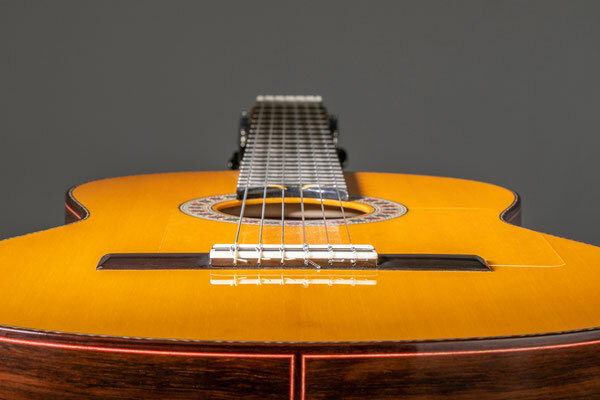 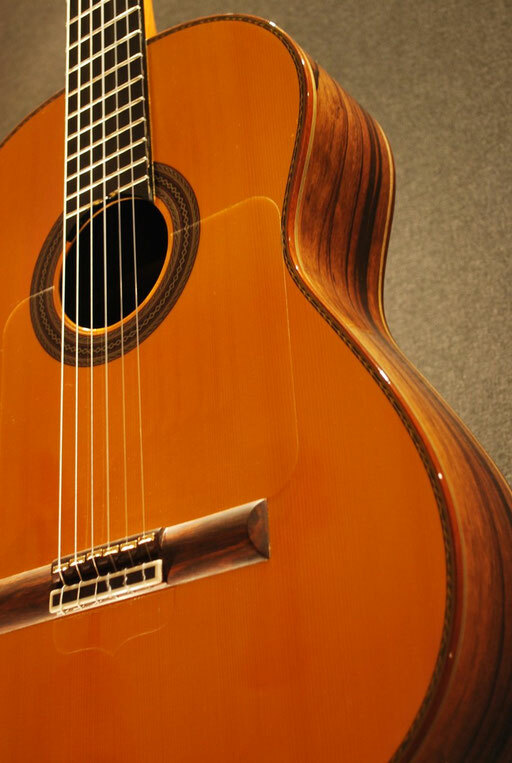 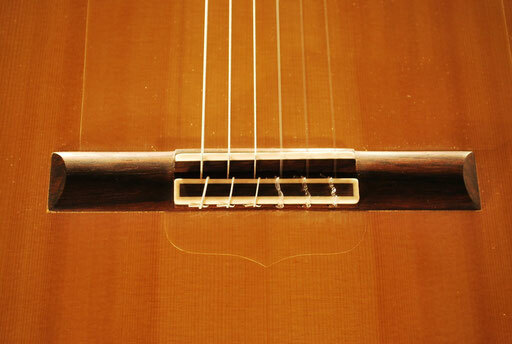 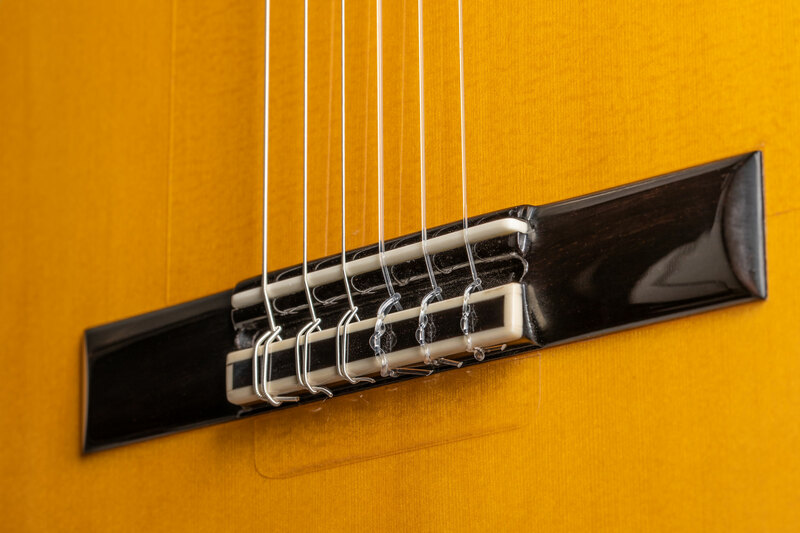 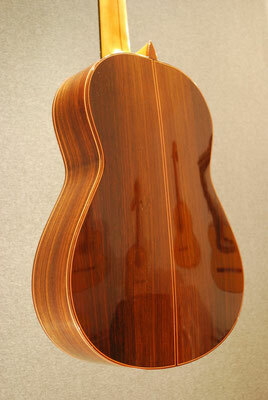 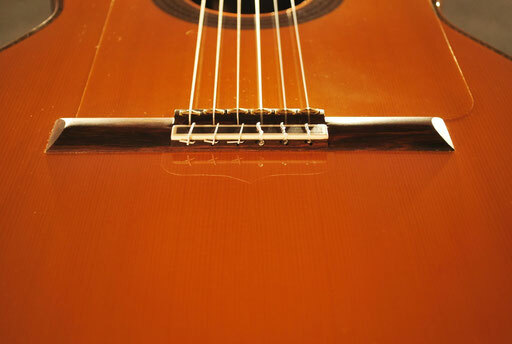 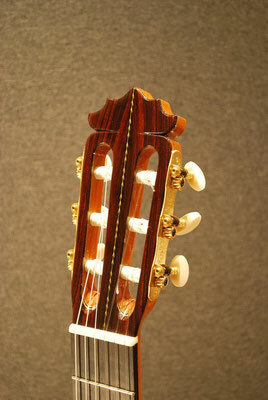 Juan Carmona created a new flamenco concert guitar. 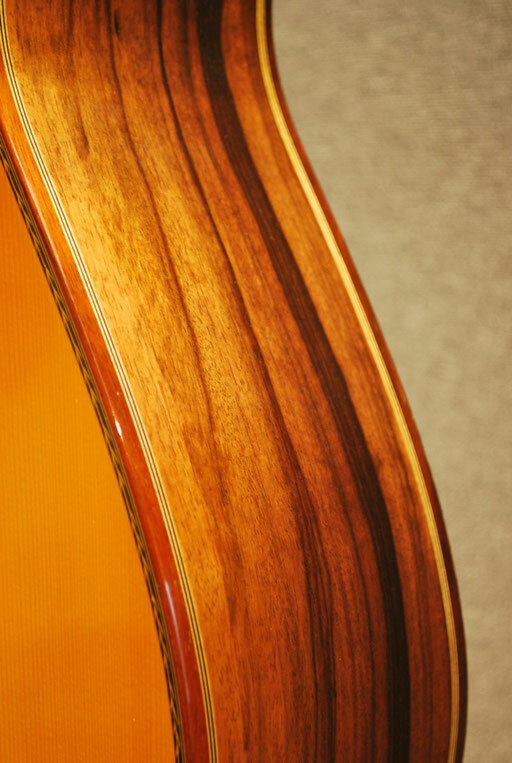 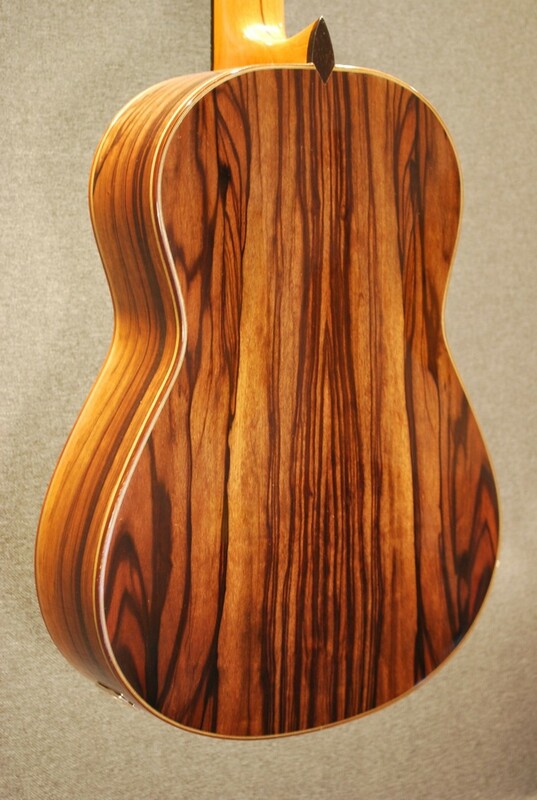 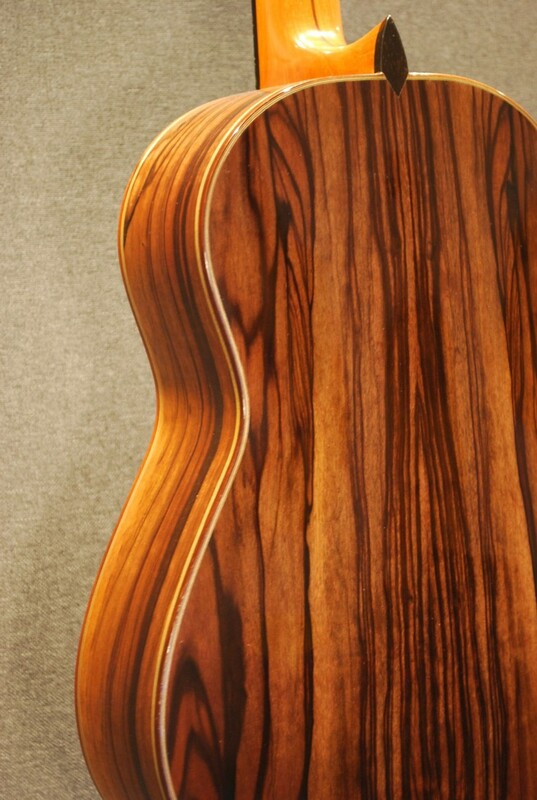 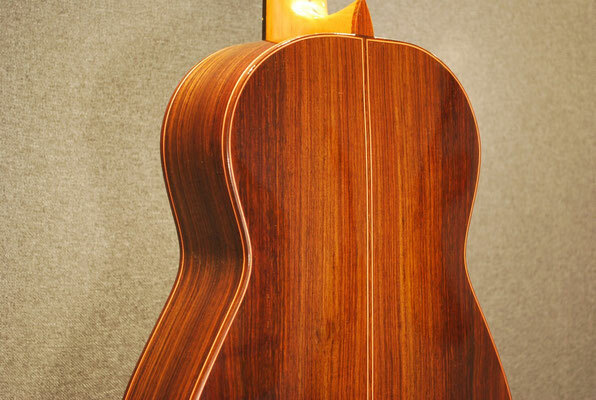 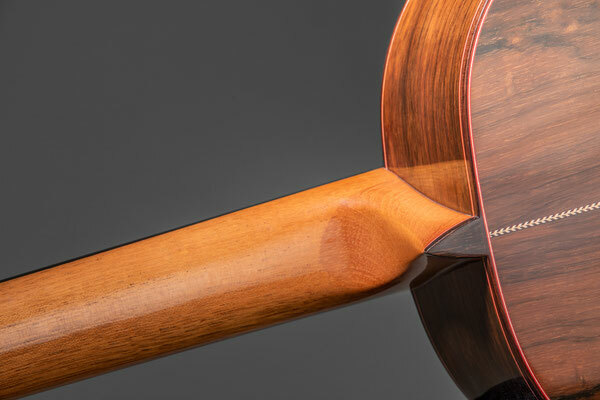 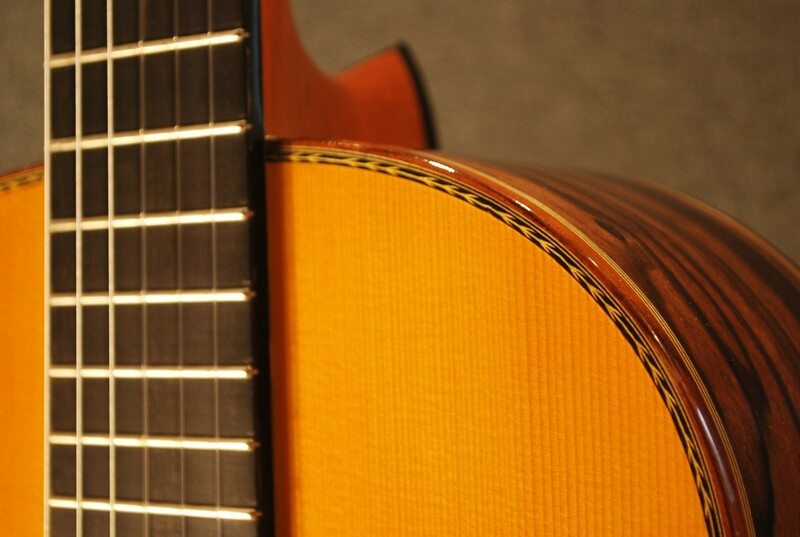 You will find both experiences of the guitar player and the luthier. The Faraona can be realised with different species of wood depending on which sound you're looking for. 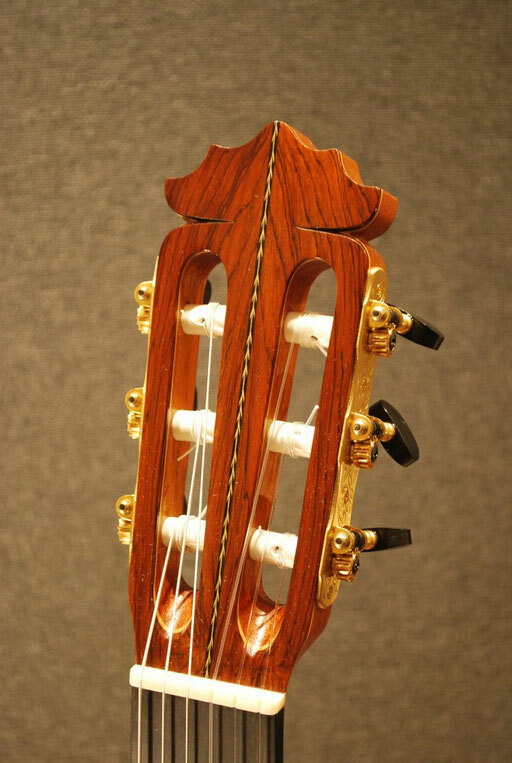 Baroque music can be played. 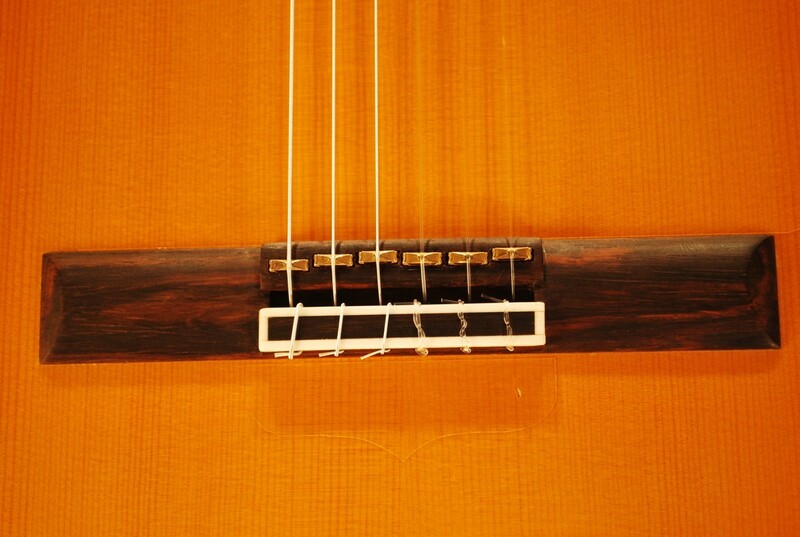 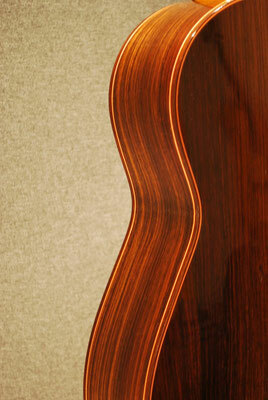 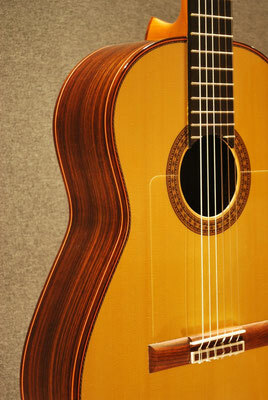 Typical Flamenco construction, the Tasarda is a very easy-playing Flamenco guitar. It projects clearly and is extremely responsive. 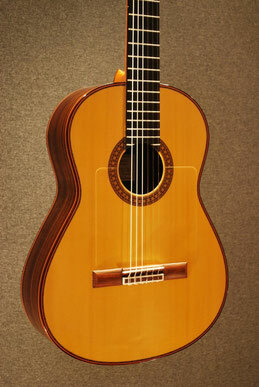 Magazine "Guitarist Acoustic Classic n°1"
Pure Flamenco guitar with typical sound. This instrument balances well with dancers and singers. 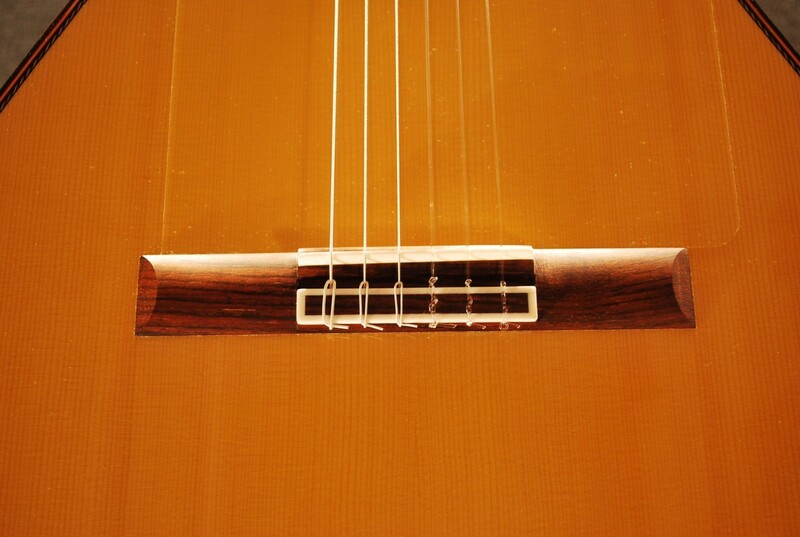 The Erachi is very light, resonant and has immediate sound with full open mediums. 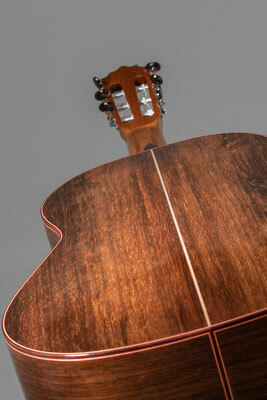 Django is a very well balanced guitar. 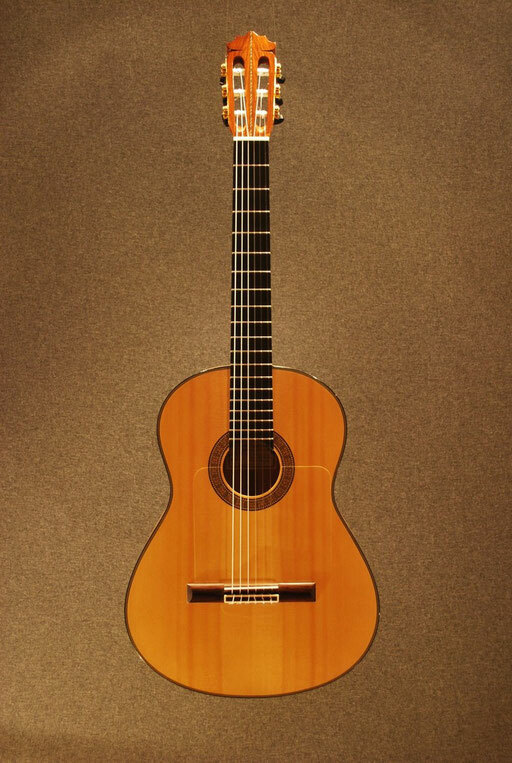 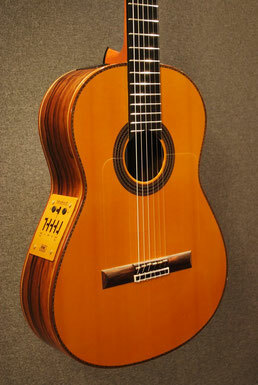 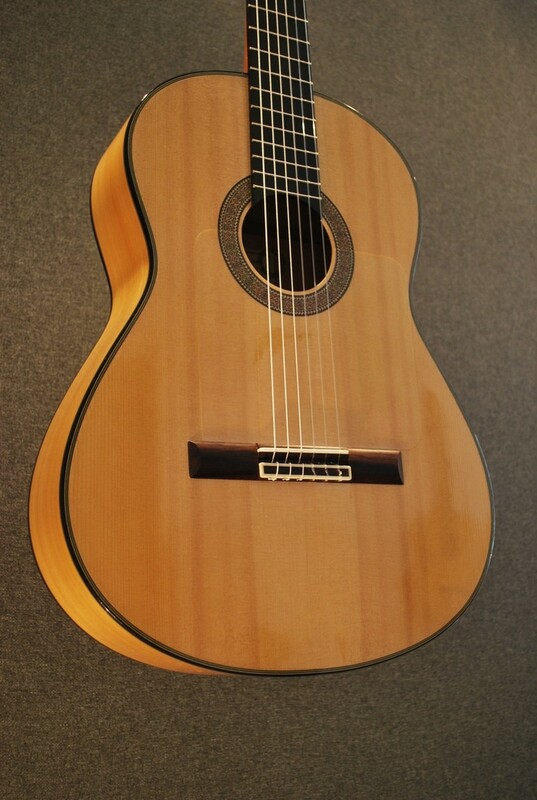 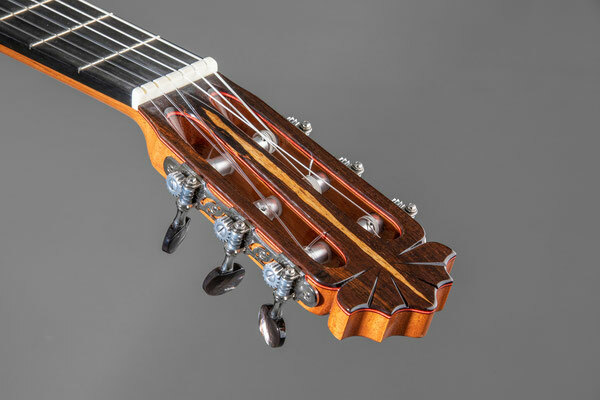 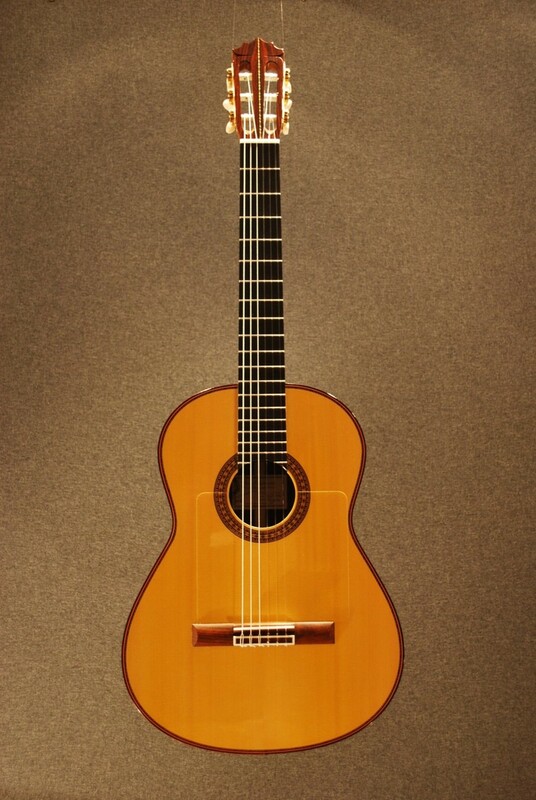 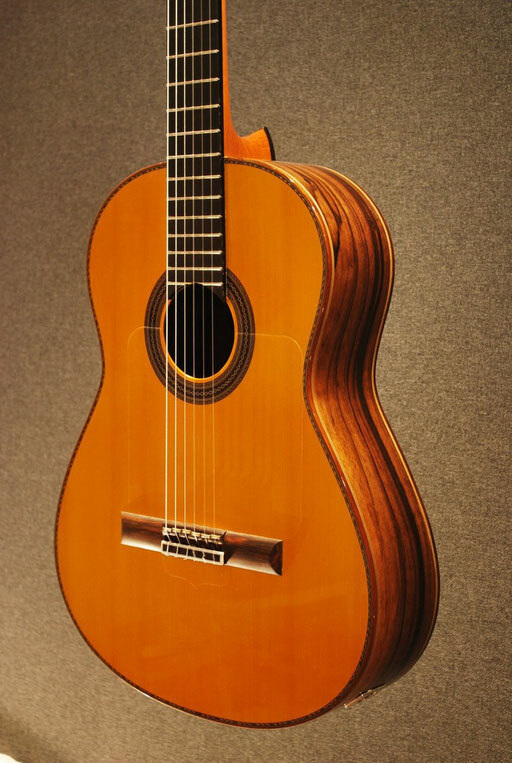 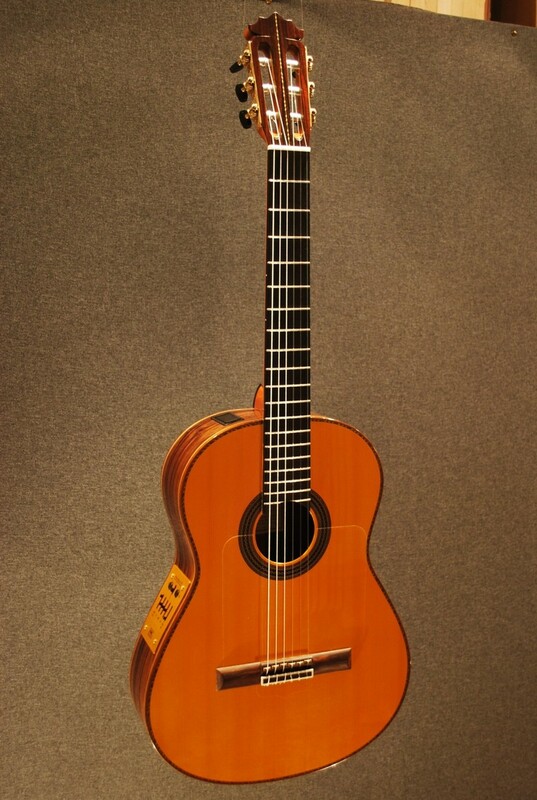 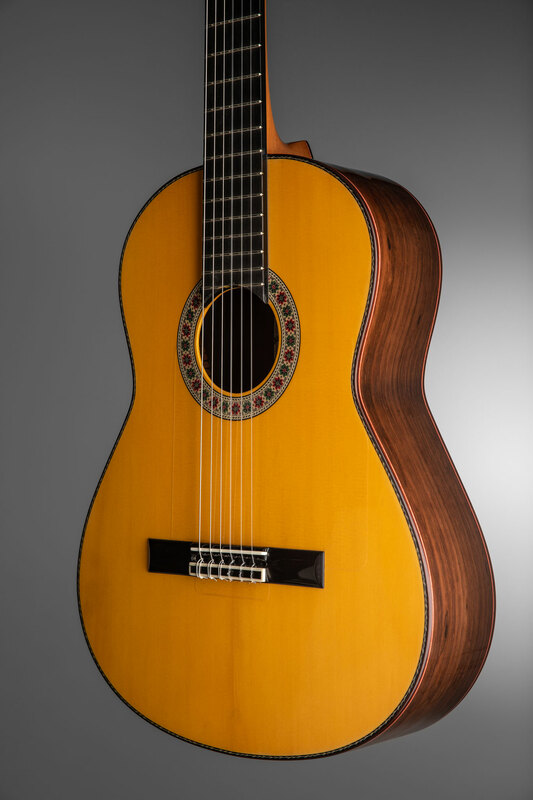 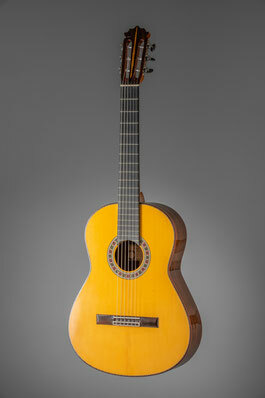 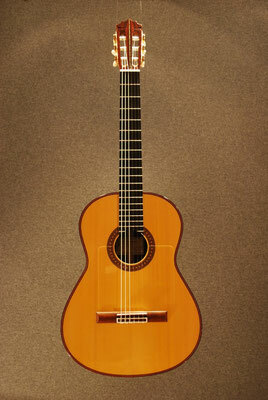 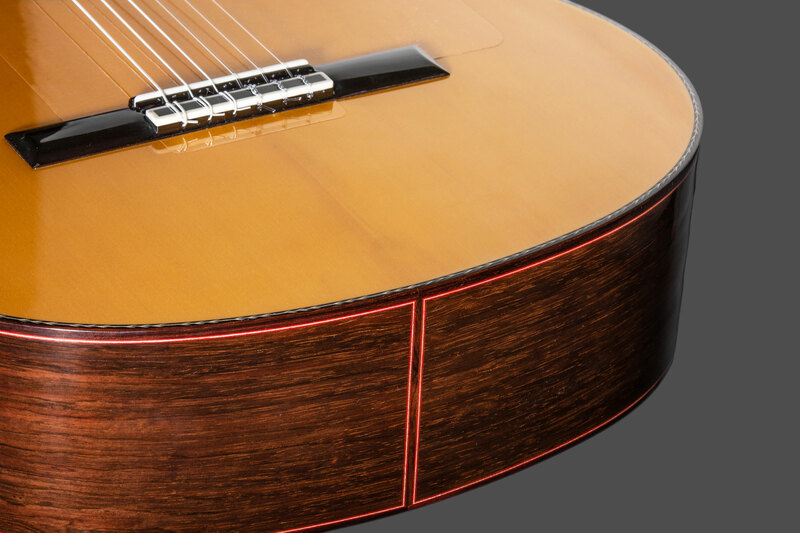 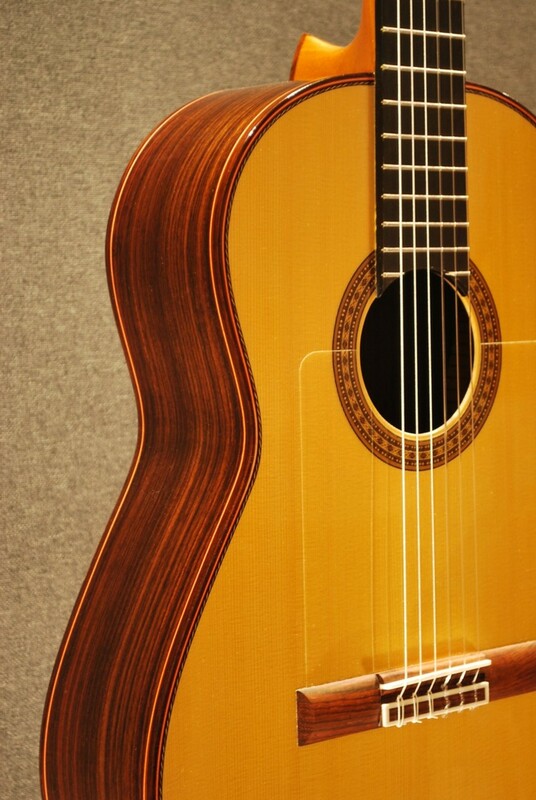 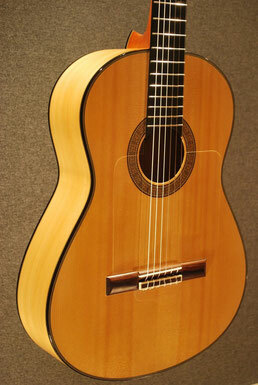 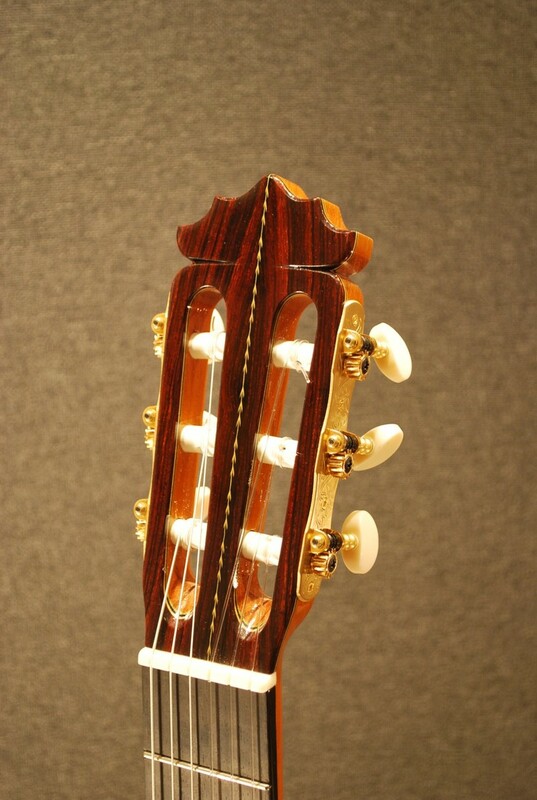 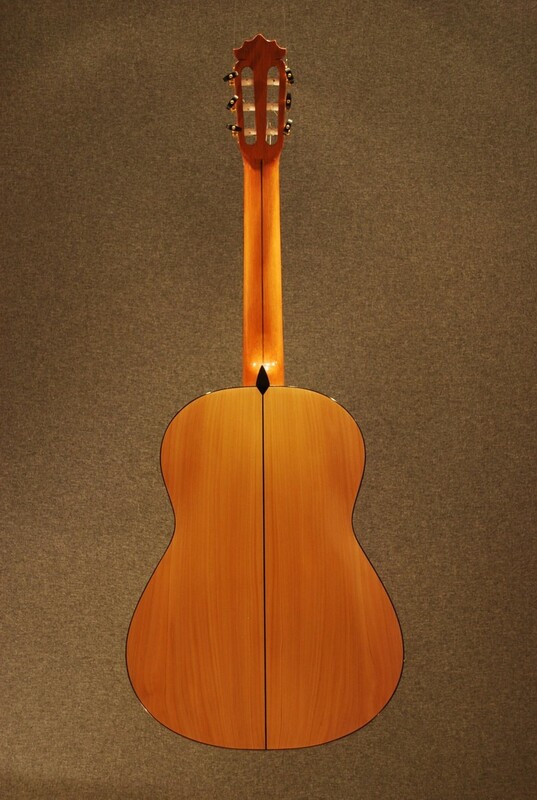 These Flamenco Concert model was designed to Professional players. 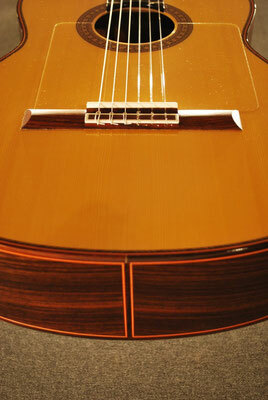 RMC polydrive system was used. 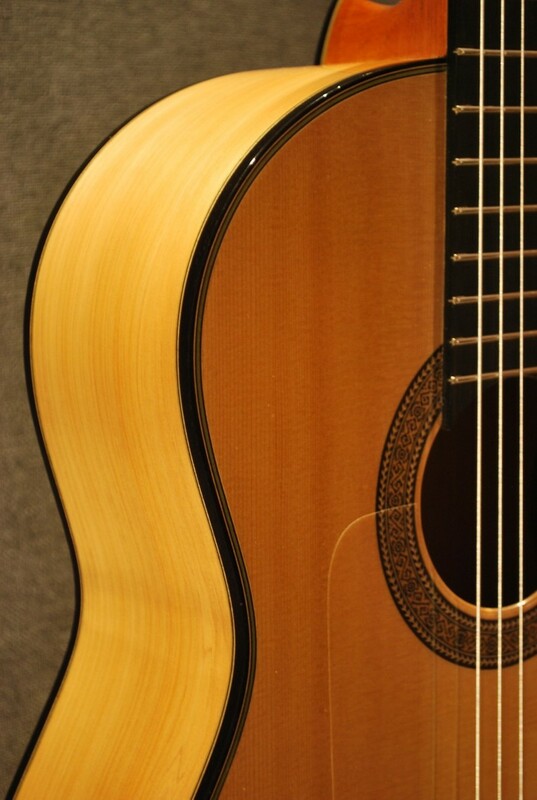 The sound is amazing, very natural without deformation. all required qualities: balance, roundness, deepness, acute notes and precision.